Bold and the Beautiful Spoilers: Bill Wants His Family Back, Does Katie Feel The Same? The Bold and the Beautiful (B&B) spoilers for the week of February 18 tease that Bill Spencer (Don Diamont) will begin to have an idea of what he wants next in life. He will remember the good ‘ol days when he was married to Katie Logan (Heather Tom). Bold and the Beautiful spoilers show that Bill will wonder if she was the love of his life and he could put a halt to his dream of remarrying Brooke Logan (Katherine Kelly Lang). Here’s everything we know about this upcoming B&B storyline. Bill isn’t shy in telling Justin (Aaron D Spears) what he wants. When Justin comes to see him and he asks why he is looking so determined, Bill proudly lets him know that he wants to get his family back. Of course, Justin is confused. Does he mean Brooke or Katie? Or, could he be talking about someone else. I mean let’s face it, Bill has had several families in his lifetime. Dollar Bill unveils his plan to woo Katie and he will give Will the family he deserves. Justin thinks it’s a great idea, but he cautions Bill that it might not be easy as Katie is married to Thorne Forrester (Ingo Rademacher). 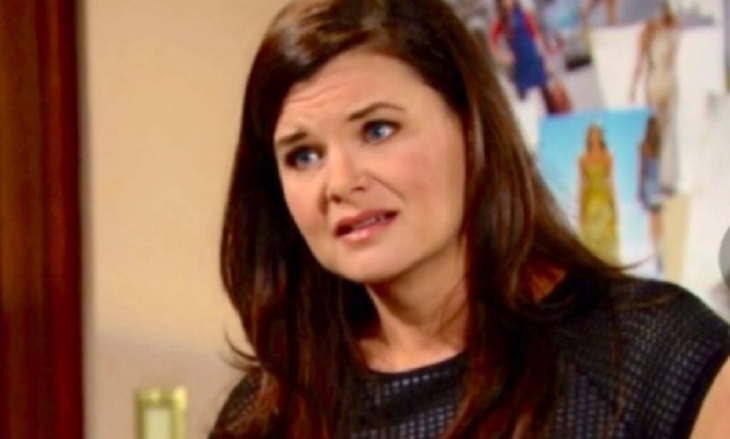 Bold and the Beautiful Spoilers – Does Katie Feel The Same? On Thursday, February 14, Thorne will blindside Katie with divorce papers. He will let her know that he doesn’t feel like their marriage is working for him. He will point out she seems pretty close to her ex-husband; Bill and he feels like a third wheel. Katie will scream at him that they were just starting their life together and it isn’t fair that he leaves her now. Of course, none of this will matter as he has made up his mid and he is leaving her and Los Angeles for good. So, knowing that Thorne is on his way out of town and out of Katie’s marriage, is Bill an option for her on Bold and the Beautiful? It seems pretty likely they would, at least, entertain the idea of getting back together. It’s up to the writers if they can figure out a way to make it work between them. It’s clear, they both love and respect each other and, if anyone can make it work, Katie and Bill can. Would you like to see Katie and Bill reunite? Don’t forget to come back later for more Bold and the Beautiful (B&B) spoilers, news, and casting updates! Coronation Street News: Shayne Ward Gets A New Job!